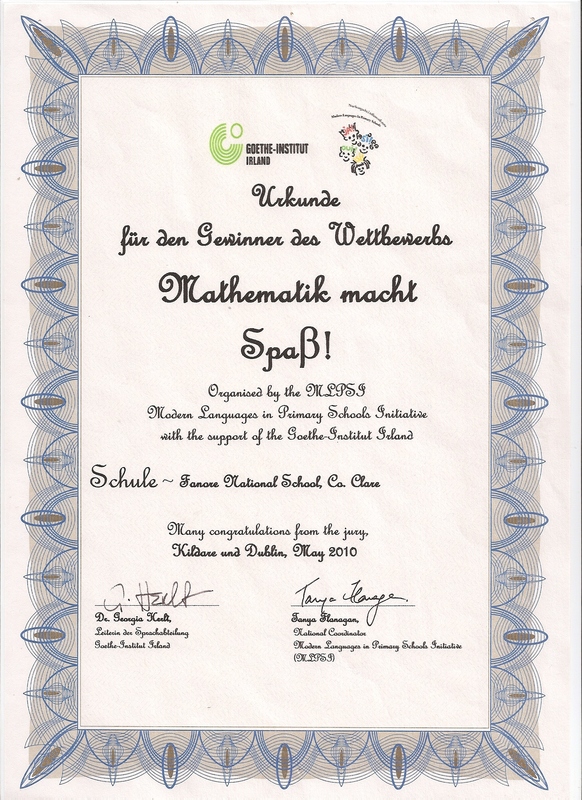 The senior classroom created a series of Maths games which they carried out through German with their German teacher Veerle Claeys. 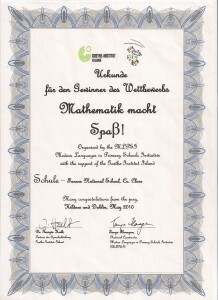 The school received a monetary award. The children of Fanore National School and Ballyaughan National School succeeded in reaching the county hurling final in June 2009. 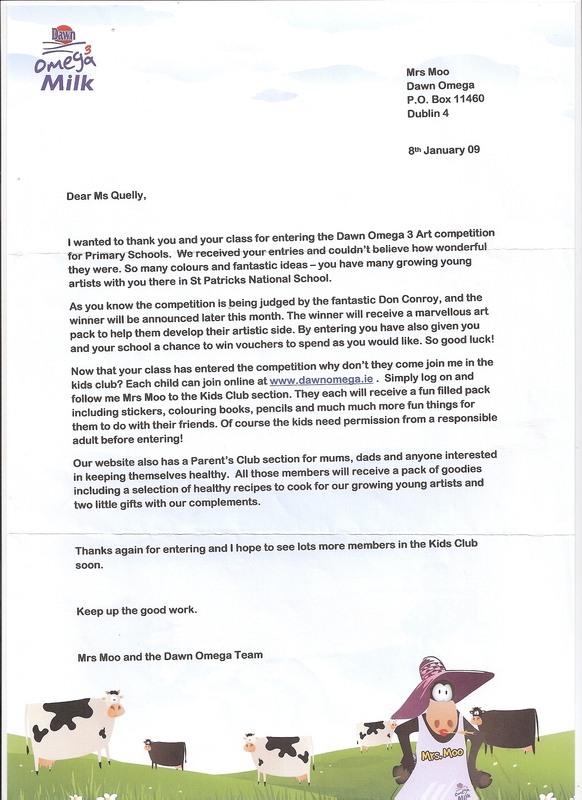 Jessica Kelly designed and created a poster based on farm life for the Dawn Omega 3 Milk Art Competition . There were over 2,400 entries and these were judged by wildlife artist Don Conroy. Jessica was an All Ireland Finalist as she came in 2nd place in the 7-12 year olds category. 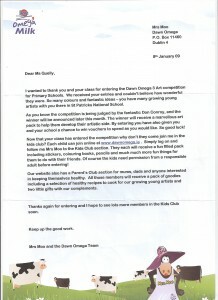 Anne Casey received a prize for her neat sample of handwriting. 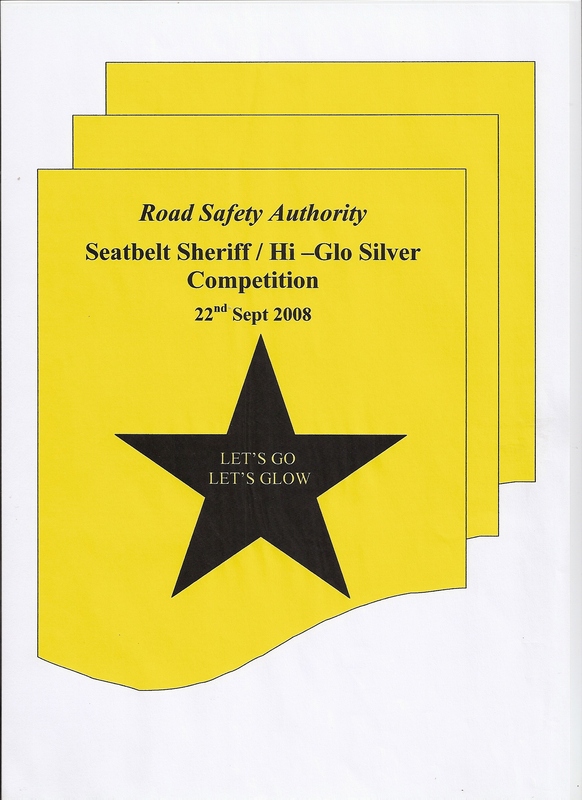 Owen Kelly was the All Ireland winner of the Hi-Glo Silver Poster Competition 2008. This competition was held to highlight the importance of Road Safety Awareness. Owen designed and created a poster with the creative caption Let’s Go, Let’s Glow. ‘Be Safe, Be Seen’ was the theme to encourage 2nd class students to wear bright and reflective clothing when walking and cycling. Fanore National School was fortunate to have two winners in this competition, Hannah Casey and Matthew Irwin.